G.R. Nos. 59568-76 January 11, 1990 - PETER NIERRAS v. AUXENCIO C. DACUYCUY, ET AL. G.R. No. 59731 January 11, 1990 - ALFREDO CHING v. COURT OF APPEALS, ET AL. G.R. No. 85332 January 11, 1990 - BIENVENIDO PAZ v. COURT OF APPEALS, ET AL. A.M. No. RTJ-87-104 January 11, 1990 - OFFICE OF THE COURT ADMINISTRATOR v. JOSE M. ESTACION, JR.
G.R. No. 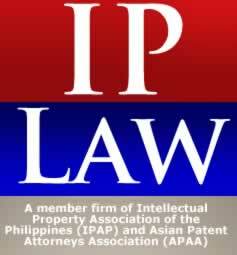 45355 January 12, 1990 - PROVINCE OF MISAMIS ORIENTAL v. CAGAYAN ELECTRIC POWER AND LIGHT CO., INC.
G.R. No. 59284 January 12, 1990 - JUANITO CARDOZA v. PABLO S. SINGSON, ET AL. G.R. No. 75679 January 12, 1990 - ROSAURO C. CRUZ v. AUGUSTO E. VILLARIN, ET AL. G.R. No. 76752 January 12, 1990 - ST. MARY’S COLLEGE, ET AL. v. NATIONAL LABOR RELATIONS COMM., ET AL. G.R. No. 83982 January 12, 1990 - JESUS C. JAKIHACA v. LILIA AQUINO, ET AL. G.R. No. 30670 January 17, 1990 - PASTOR TANCHOCO, ET AL. v. FLORENDO P. AQUINO, ET AL. G.R. No. 52728 January 17, 1990 - AVELINO C. AGULTO v. COURT OF APPEALS, ET AL. G.R. Nos. 74938-39 January 17, 1990 - ANGELINA J. MALABANAN v. GAW CHING, ET AL. G.R. No. 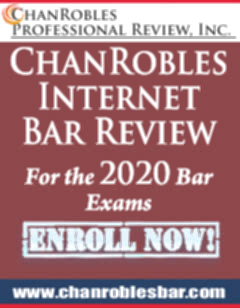 75663 January 17, 1990 - ANTONIO G. AMBROSIO v. INTERMEDIATE APPELLATE COURT, ET AL. G.R. No. 75979 January 17, 1990 - RAYMUNDO MARABELES, ET AL. v. COURT OF APPEALS, ET AL. G.R. Nos. 79436-50 January 17, 1990 - EASTERN ASSURANCE & SURETY CORP. v. SECRETARY OF LABOR, ET AL. G.R. No. 85915 January 17, 1990 - PAGKAKAISA NG MGA MANGGAGAWA SA TRIUMPH INT’L., ET AL. v. PURA FERRER-CALLEJA, ET AL. G.R. No. 88864 January 17, 1990 - PACIFIC MILLS, INC. v. NATIONAL LABOR RELATIONS COMM., ET AL. G.R. No. 44414 January 18, 1990 - PEOPLE OF THE PHIL. v. WILFREDO TALLA, ET AL. G.R. No. 57455 January 18, 1990 - EVELYN DE LUNA, ET AL. v. SOFRONIO F. ABRIGO, ET AL. G.R. No. 41835 January 19, 1990 - PRUDENTIAL BANK v. FILOMENO GAPULTOS, ET AL. G.R. No. 43495 January 20, 1990 - TROPICAL HUT EMPLOYEES’ UNION, ET AL. v. TROPICAL HUT FOOD MARKET, INC., ET AL. G.R. No. 42735 January 22, 1990 - RAMON L. ABAD v. COURT OF APPEALS, ET AL. G.R. No. 43830 January 22, 1990 - LILY SAN BUENAVENTURA, ET AL. v. COURT OF APPEALS, ET AL. G.R. No. 46238 January 22, 1990 - LAUREANA TAMBOT, ET AL. v. COURT OF APPEALS, ET AL. G.R. No. 47663 January 22, 1990 - BELSTAR TRANSPORTATION, INC. v. BOARD OF TRANS., ET AL. G.R. No. 54908 January 22, 1990 - COMMISSIONER OF INTERNAL REVENUE v. MITSUBISHI METAL CORP., ET AL. G.R. No. 68520 January 22, 1990 - PEOPLE OF THE PHIL. v. VIRGILIO PASCO, ET AL. G.R. No. 68935 January 22, 1990 - JOSE PENEYRA, ET AL. v. INTERMEDIATE APPELLATE COURT, ET AL. G.R. No. 72138 January 22, 1990 - FELICIDAD M. ALVENDIA, ET AL. v. INTERMEDIATE APPELLATE COURT, ET AL. G.R. Nos. 72654-61 January 22, 1990 - ALIPIO R. RUGA, ET AL. v. NATIONAL LABOR RELATIONS COMM., ET AL. G.R. No. 76422 January 22, 1990 - UNITED HOUSING CORP. v. ABELARDO M. DAYRIT, ET AL. G.R. No. 76788 January 22, 1990 - JUANITA SALAS v. COURT OF APPEALS, ET AL. G.R. No. 77853 January 22, 1990 - MARINA PORT SERVICES, INC. v. CRESENCIO R. INIEGO, ET AL. G.R. No. 78212 January 22, 1990 - T.H. VALDERAMA & SONS, INC., ET AL. v. FRANKLIN DRILON, ET AL. G.R. No. 78265 January 22, 1990 - ESTANISLAO CARBUNGCO, ET AL. v. COURT OF APPEALS, ET AL. G.R. No. 82146 January 22, 1990 - EULOGIO OCCENA v. PEDRO M. ICAMINA, ET AL. G.R. Nos. 84843-44 January 22, 1990 - NURHUSSEIN A. UTUTALUM v. COMMISSION ON ELECTIONS, ET AL. G.R. No. 85251 January 22, 1990 - PEOPLE OF THE PHIL. v. FELICISIMO ARENGO, ET AL. G.R. No. 44617 January 23, 1990 - CECILIO ORTEGA , ET AL. v. DOMINADOR AGRIPA TAN, ET AL. G.R. No. 75304 January 23, 1990 - BIENVENIDA PANGILINAN, ET AL. v. FIDEL RAMOS, ET AL. G.R. Nos. 86100-03 January 23, 1990 - METROPOLITAN BANK AND TRUST CO. v. COURT OF APPEALS, ET AL. G.R. No. 86301 January 23, 1990 - JULIAN SY, ET AL. v. JAIME D. DISCAYA, ET AL. G.R. No. 87449 January 23, 1990 - SOUTH MOTORISTS ENTERPRISES v. ROQUE TOSOC, ET AL. G.R. No. 42514 January 25, 1990 - RODOLFO P. GONZALEZ, ET AL. v. REGINA ORDOÑEZ-BENITEZ, ET AL. G.R. No. 78325 January 25, 1990 - DEL MONTE CORP., ET AL. v. COURT OF APPEALS, ET AL. G.R. No. 38387 January 29, 1990 - HILDA WALSTROM v. FERNANDO MAPA, JR., ET AL. G.R. No. 50464 January 29, 1990 - SUNBEAM CONVENIENCE FOODS INC., ET AL. v. COURT OF APPEALS, ET AL. G.R. No. 52491 January 29, 1990 - DIRECTOR OF LANDS v. COURT OF APPEALS, ET AL. G.R. No. 67301 January 29, 1990 - MANUEL V. BALA v. ANTONIO M. MARTINEZ, ET AL. G.R. No. 69018 January 29, 1990 - ERNESTO S. DIZON, JR. v. NATIONAL LABOR RELATIONS COMM., ET AL. G.R. No. 77429 January 29, 1990 - LAURO SANTOS v. PEOPLE OF THE PHIL. G.R. No. 81066 January 29, 1990 - SIXTO PROVIDO v. PHILIPPINE CONSTABULARY, ET AL. G.R. No. 82028 January 29, 1990 - FILOMENO N. LANTION, ET AL. v. NATIONAL LABOR RELATIONS COMM., ET AL. G.R. No. 85281 January 29, 1990 - CARLOS VALENZUELA, ET AL. v. COURT OF APPEALS, ET AL. G.R. No. 43356 January 30, 1990 - THELMA FERNAN v. COURT OF APPEALS, ET AL. G.R. No. 46345 January 30, 1990 - RESTITUTO CENIZA, ET AL. v. COURT OF APPEALS, ET AL. G.R. No. 49188 January 30, 1990 - PHILIPPINE AIRLINES, INC. v. COURT OF APPEALS, ET AL. G.R. No. 62370 January 30, 1990 - PHILIPPINE NATIONAL BANK v. ROSALIO A. DE LEON, ET AL. G.R. No. 66386 January 30, 1990 - GUILLERMO BAÑAGA, ET AL. v. COMM. ON THE SETTLEMENT OF LAND PROBLEMS., ET AL. G.R. No. 76902 January 30, 1990 - LAND BANK OF THE PHIL. v. COURT OF APPEALS, ET AL. G.R. No. 78555 January 30, 1990 - ROMULO S. BULAONG, ET AL. v. COURT OF APPEALS, ET AL. G.R. No. 80508 January 30, 1990 - EDDIE GUAZON, ET AL. v. RENATO DE VILLA, ET AL. G.R. No. 83341 January 30, 1990 - ARNEL P. MISOLAS v. BENJAMIN V. PANGA, ET AL. G.R. No. 85266 January 30, 1990 - PHIL. VETERANS INVESTMENT DEV’T. CORP. v. COURT OF APPEALS, ET AL. G.R. No. 85934 January 30, 1990 - SSK PARTS CORPORATION v. TEODORICO CAMAS, ET AL. G.R. No. 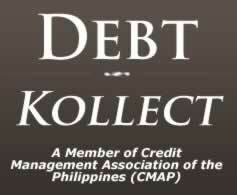 88421 January 30, 1990 - AYALA CORPORATION, ET AL. v. JOB B. MADAYAG, ET AL.